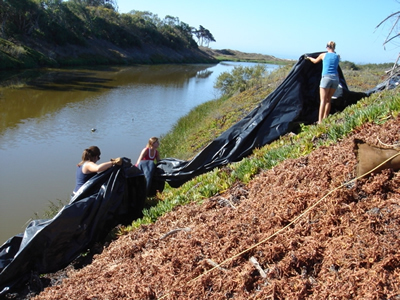 Coal Oil Point Reserve has an aggressive restoration program to restore degraded habitat to better support rare coastal ecosystems. 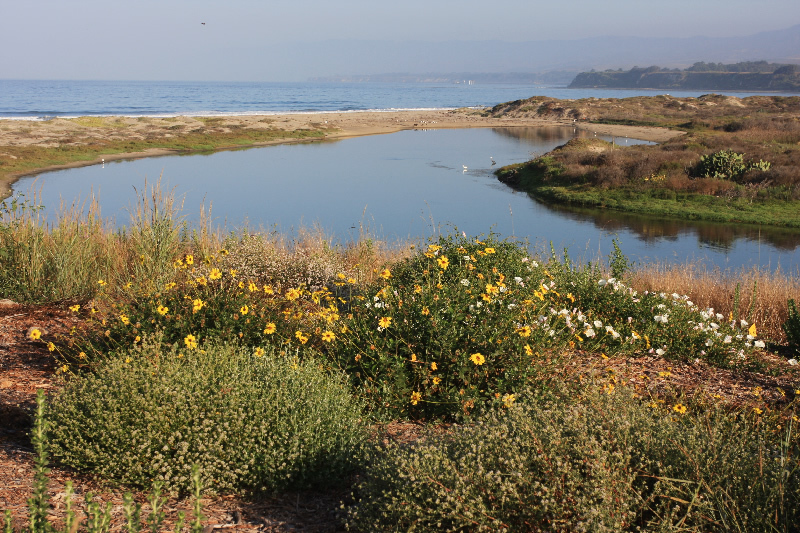 Coal Oil Point Reserve has successfully restored more than 20 acres, including wetland margins, vernal pools, coastal sage scrub, dunes, and beach habitats (Figure 1). All these areas are now self-sustaining and rich in native wildlife. COPR has a number of exotic and invasive species that must be eradicated or controlled (Table 1). These plants have degraded natural habitats and displaced native species. COPR has started removing the most invasive species such as Acacia, pampas grass, iceplant, and Myoporum. Areas dominated by non-native grasses are also in need of restoration because European grasses prevent native species to become established. Grazing and fire, which were natural phenomena at COPR, are now absent owing to fire suppression and loss of large native grazers. 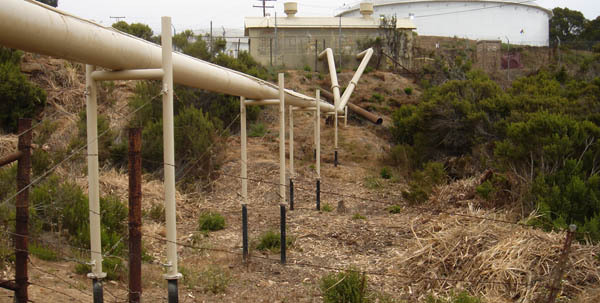 California native species of non-local origin have been introduced in the past to the Reserve as part of soil remediation projects, by accident, or by unauthorized planting. These plants must be removed to avoid hybridization with local genotypes and to limit confounding effects for researchers studying these species. Sites have been restored over the years through a number of volunteer efforts or grants. 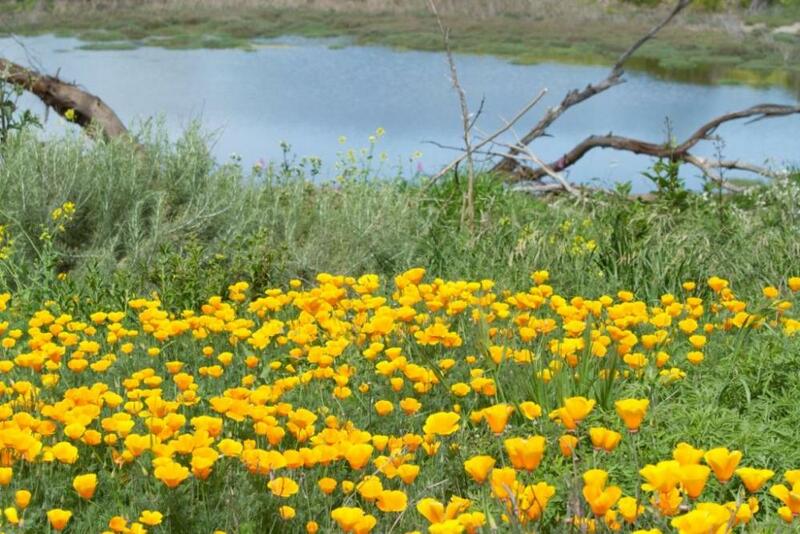 The vernal pool was created in 1987 as a mitigation project for the UCSB West Campus Faculty Housing project. 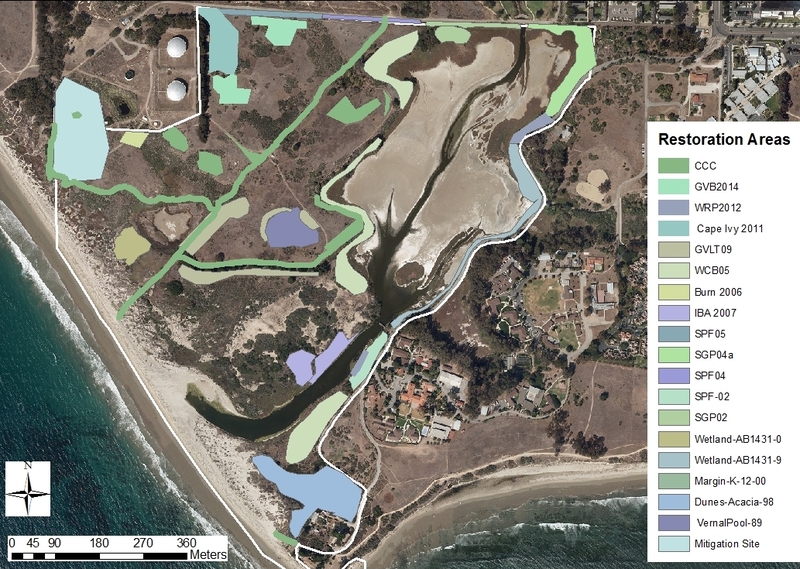 It was the first vernal pool reconstruction project attempted by the UCSB Museum of Systematics and Ecology Currently, the deep areas of the pool function as a vernal marsh that rarely dries up, and the shallower edges as a vernal pool that dries up seasonally.